Zhao L, Zhou X, Wu Z, Yi W, Xu Y, Li S, Xu T, Liu Y, Chen R, Kovach A, Kang Y, Hou L, He Y, Xie C, Song W, Zhong D, Xu Y, Wang Y,Li J, Zhang C, Melcher K, Xu H (2013) Crystal structures of two phytohormone signal-transducing α/β hydrolases: karrikin-signaling KAI2 and strigolactonesignaling DWARF14.Cell Res23:436-439. Zhang X, Wang J, Huang J, Lan H, Wang C, Yin C, Wu Y, Tang H, Qian Q,Li J, and Zhang H (2012) Rare allele of OsPPKL1 associated with grain length causes extra-large grain and a significant yield increase in rice.Proc Natl Acad Sci USA109: 21534-21539. Huang X, Kurata N, Wei X, Wang Z, Wang A, Zhao Q, Zhao Y, Lu H, Li W, Guo Y, Lu Y, Liu K, Zhou C, Fan D, Weng Q, Zhu C, Huang T, Zhang L, Wang Y, Feng L, Furuumi H, Kubo T, Miyabayashi T, Yuan X, Xu Q, Dong G, Zhan Q, Li C, Fujiyama A, Toyoda A, Lu T, Feng Q, Qian Q,Li Jand Han B (2012) A map of rice genome variation reveals the origin of cultivated rice and domestication-associated genes.Nature490: 497-502. Xu C, Wang Y, Yu Y, Duan J, Liao L, Xiong G, Meng X, Liu G,Qian Q andLi J(2012) Degradation ofMONOCULM 1(MOC1) by APC/Cregulates rice tillering.Nature CommunicationsDOI: 10.1038/ncomms1743. Huang X, Zhao Y, Wei X, Li C, Wang A, Zhao Q, Li W, Guo Y, Deng L, Zhu C, Fan D, Lu Y, Weng Q, Liu K, Zhou T, Jing Y, Si L, Dong G, Huang T, Lu T, Feng Q, Qian Q,Li Jand Han B (2012) Genome-wide association study of flowering time and grain yield traits in a worldwide collection of rice germplasmNature Genet44: 32-39. Huang Xu, Wei X, Sang T, Zhao Q, Feng Q, Zhao Y, Li C, Zhu C, Lu T, Zhang Z, Li M, Fan D, Guo Y, Wang A, Wang L, Deng L, Li W, Lu Y, Weng Q, Liu K, Huang T, Zhou T, Jing Y, Li W, Lin Z, Bucker ES, Qian Q, Zhang Q,LiJ and Han B (2010) Genome-wide association studies of 14 agronomic traits in rice landraces.Nature Genet42: 961-967. Tian Z, Yan C, Qian Q, Yan S, Xie H, Wang F, Xu J, Liu G, Wang Y, Liu Q, Tang S,Li Jand Gu M (2010) Development of gene-tagged molecular markers for starch synthesis-related genes in rice.Chin Sci Bull55: 3768-3777. Zhang M, Zhang B, Qian Q, Yu Y, Li R, Zhang J, Liu X, Zeng D,Li Jand Zhou Y (2010) Brittle Culm12, a dual-targeting Kinesin-4 protein, controls cell cycle progression and wall properties in rice.Plant J63: 312-328. Jiao Y, Wang Y, Xue D, Wang J, Yan M, Liu G, Dong G, Zeng D, Lu Z, Zhu X, Qian Q andLi J(2010) Regulation ofOsSPL14by OsmiR156 defines ideal plant architecture in rice.Nature Genet42, 541-544. Cui X, Ge C, Wang R, Wang H, Chen W, Fu Z, Jiang X,Li J, Wang Y (2010) TheBUD2mutation affects plant architecture through altering response to cytokinin and auxin inArabidopsis.Cell Res20: 576-586. Melcher K, Ng LM, Zhou X, Soon FF, Xu Y, Suino-Powell KM, Park SY, Weiner JJ, Fujii H, Chinnusamy V, Kovach A, Li J, Wang Y,Li J, Peterson FC, Jensen DR, Yong EL, Volkman BF, Cutler SR, Zhu J, and Xu E (2009). A gate-latch-lock mechanism for hormone signalling by abscisic acid receptors.Nature462: 602-608. Wang H, Zhu Y, Fujioka S, Asami T,Li J, and Li J (2009). Regulation ofArabidopsisbrassinosteroid signaling by atypical basic helix-loop-helix proteins.Plant Cell21: 3781-3791. Lin H, Wang R, Qian Q, Yan M, Meng X, Fu Z, Yan C, Jiang B, Su Z,Li J, and Wang Y (2009). DWARF27, an iron-containing protein required for the biosynthesis of strigolactones, regulates rice tiller bud outgrowth.Plant Cell21: 1512-1525. Huang X, Qian Q, Liu Z, Sun H, He S, Luo D, Xia G, Chu C,Li J, and Fu X. (2009) Natural variation at theDEP1locus enhances grain yield in rice.Nat Genet41: 494-497. Zhou Y, Li S, Qian Q, Zeng D, Zhang M, Guo L, Liu XL, Zhang B, Deng L, Liu XF, Luo G, Wang X andLi J(2009) BC10, a DUF266-containing and golgi-located type II membrane protein, is required for cell wall biosynthesis in rice (Oryza sativaL. )Plant J57: 446-462. Tian Z, Qian Q, Liu Q, Yan M, Liu X, Yan C, Liu G, Gao Z, Tang S, Zeng D, Wang Y, Yu J, Gu M andLi J(2009) Allelic diversities in rice starch biosynthesis lead to a diverse array of rice eating and cooking qualities.Proc Natl Acad Sci USA106: 21760–21765. Yu Y, Tang T, Qian Q, Wang Y, Yan M, Zeng D, Han B, Wu Chung-I, Shi S and Li J (2008) Independent losses of function in a polyphenol oxidase in rice: differentiation in grain discoloration between subspecies and the role of positive selection under domestication.Plant Cell20: 2946-2959. Xu W, Huang J, Li B,Li Jand Wang Y (2008) Is kinase activity essential for biological functions of BRI1?Cell Res18: 472-478. Li P, Wang Y, Qian Q, Fu Z, Wang M, Zeng D, Li B, Wang X, andLi J ((2007)LAZY1controls rice shoot gravitropism through regulating polar auxin transport.Cell Res17: 402-410. Zhang X, Dai Y, Xiong Y, DeFraia C,Li J, Dong X, and Mou Z (2007) Overexpression ofArabidopsisMAP kinase kinase 7leads to activation of plant basal and systemic acquired resistance.Plant J52: 1066-1079. Dai Y, Wang H, Li B, Huang J, Liu X, Zhou Y, Mou Z andLi J(2006) Increased expression ofMAPKK7causes deficiency in polar auxin transport and leads to plant architectural abnormality inArabidopsis.Plant Cell18: 308-320. Xiong G, Hu X, Jiao Y, Yu Y, Chu C,Li J, Qian Q and Wang Y (2006)LEAFY HEAD2, which encodes a putative RNA-binding protein, regulates shoot development of rice.Cell Res16: 267-276. Ge C, Cui X, Wang Y, Hu Y, Fu Z, Zhang D, Cheng Z, andLi J(2006)BUD2, encoding an S-adenosylmethionine decarboxylase, is required forArabidopsisgrowth and development.Cell Res16: 446-456. Gong W, Shen Y, Ma L, Pan Y, Du Y, Wang D, Yang J, Hu L, Liu X, Dong C, Ma L, Chen Y, Yang X, Gao Y, Zhu D, Tan X, Mu J, Zhang D, Liu Y, Dinesh-Kumar SP, Li Y, Wang X, Gu H, Qu L, Bai S, Lu Y,Li J, Zhao J, Zuo J, Huang H, Deng X, and Zhu Y (2004) Genome-wide ORFeome cloning and analysis ofArabidopsistranscription factor genes.Plant Physiol135: 773–782. Tian C, Wan P, Sun S,Li Jand Chen M (2004) Genome-wide analysis of the GRAS gene family in rice andArabidopsis.Plant Mol Biol54: 519-532. Hu Y, Wang Y, Liu X,Li J(2004)ArabidopsisRAV1 is down-regulated by brassinosteroid and may act as a negative regulator during plant development.Cell Res14: 8-15. Li Y, Qian Q, Zhou Y, Yan M, Sun L, Zhang M, Fu Z, Wang Y, Han B, Pang X, Chen M andLi J(2003)BRITTLE CULM 1,which encodes a COBRA-like protein, affects the mechanical properties of rice plants.Plant Cell15: 2020-2031. Li X, Qian Q, Fu Z, Wang Y, Xiong G, Zeng D, Wang X, Liu X, Teng S, Hiroshi F, Yuan M, Luo D, Han B andLi J(2003) Control of tillering in rice.Nature422: 618-621. Feng Q, Zhang Y, Hao P, Wang S, Fu G, Huang Y, Li Y, Zhu J, Liu Y, Hu X, Jia P, Zhang Y, Zhao Q, Ying K, Yu S, Tang Y, Weng Q, Zhang L, Lu Y, Mu J, Lu Y, Zhang LS, Yu Z, Fan D, Liu X, Lu T, Li C, Wu Y, Sun T, Lei H, Li T, Hu H, Guan J, Wu M, Zhang R, Zhou B, Chen Z, Chen L, Jin Z, Wang R, Yin H, Cai Z, Ren S, Lv G, Gu W, Zhu G, Tu Y, Jia J, Zhang Y, Chen J, Kang H, Chen X, Shao C, Sun Y, Hu Q, Zhang X, Zhang W, Wang L, Ding C, Sheng H, Gu J, Chen S, Ni L, Zhu F, Chen W, Lan L, Lai Y, Cheng Z, Gu M, Jiang J,Li J, Hong G, Xue Y and Han B (2002) Sequence and analysis of rice chromosome 4.Nature420: 316-320. Mou Z, Wang X, Fu Z, Dai Y, Han C, Ouyang J, Bao F, Hu Y, andLi J(2002) Silencing of phosphoethanolamineN-methyltransferase results in temperature-sensitive male sterility and salt hypersensitivity inArabidopsis.Plant Cell14: 2031-2043. Hu Y, Bao F andLi J(2000) The promotive effect of brassinosteroids on cell division involves a distinctcycD3-induction pathway inArabidopsis.Plant J24: 693-701. Ouyang J, Shao X andLi J(2000) Indole-3-glycerol phosphate, a branchpoint of indole-3-acetic acid biosynthesis from tryptophan biosynthetic pathway inArabidopsis thaliana.Plant J24: 327-333. Mou Z, He Y, Dai Y, Liu X andLi J(2000) Deficiency in fatty acid synthase leads to premature cell death and dramatic alterations in plant morphology.Plant Cell12: 405-417. LiJand Chua N-H (2011) A comprehensive understanding of plant growth and development.Curr Opin Plant Biol14: 1-3. Wang Y andLi J(2011) Branching in rice.Curr Opin Plant Biol14: 94-99. 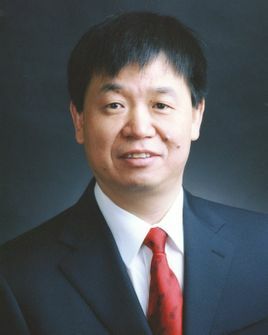 Wang Y andLi J(2008). Rice, rising.Nat Genet40,1273-1275. Wang Y andLi J(2008). Molecular basis of plant architecture.Annu Rev Plant Biol59: 253-279. Zhang Q,Li J, Xue Y, Han B and Deng X (2008) Rice 2020: A call for an international coordinated effort in rice functional genomics.Mol Plant1: 1-15. Han B, Xue Y,Li J, Deng X, and Zhang Q (2007) Rice functional genomics research in China.Phil Trans R Soc B362: 1009–102. Wang Y andLi J(2006) Genes controlling plant architecture.Curr Opin Biotech17: 123-129. Xu Z andLi J(2006) Plant hormones research in China: past, present and future.Chin Bull Bot23: 433-442. Wang Y, Xue Y andLi J(2005) Towards molecular breeding and improvement of rice in China.Trends Plant Sci10: 610-614. Xue Y,Li J, and Xu Z (2004) Recent highlights of the China Rice Functional Genomics Program.Trends Genet19: 390-394. Wang Y, Chen M andLi J(2007) Rice. InBiotechnology in Agriculture and ForestryVol. 59 Transgenic Crops IV (E.C. Pua and M.R.Davey, eds), Springer-Verlag Berlin Heidelberg, pp. 35-54.